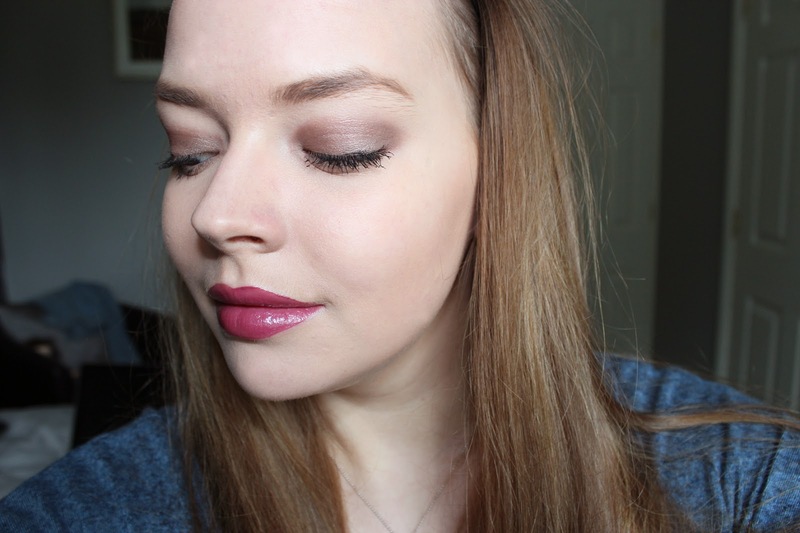 Today I bring you my first ever Make Up Routine post! 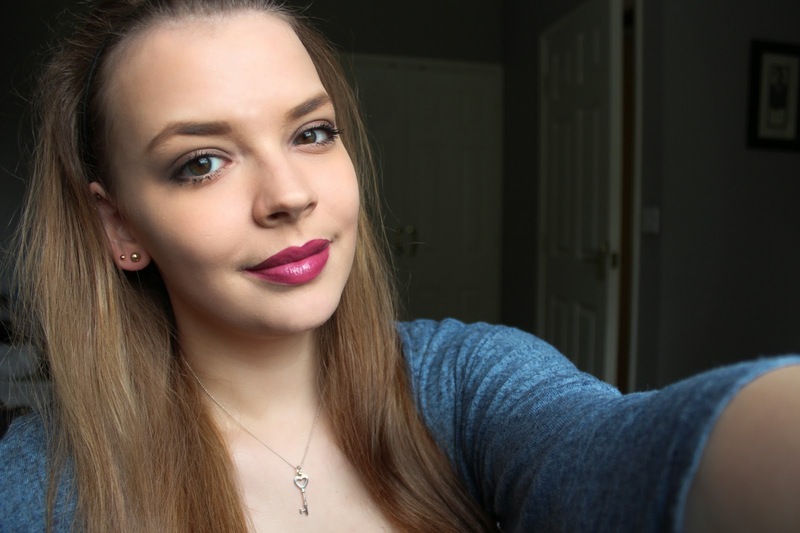 I've recently changed up my everyday make up routine for summer and I actually fell in love with it - am I even allowed to say that?! I start off by using the simple kind to skin light moisturiser to prep my face before using the Bourjois 123 Perfect CC cream in 31 Ivory. I either applied this with just my hands or my Real Techniques Buffing Brush. For under eye circles and spots I use the Collection Lasting Perfection Concealer in the shade Light 2. I then powder my face with Rimmel Londons Stay Matte Pressed Powder in 001 Transparent and the RT Blush Brush. Afterwards I move on to my eyebrows for which I use a mixture of the two powder from the Along Came Betty Br-Wow! brow kit. I've been loving an eyeshadow from essence that I've had for probably ages now: it's "09 get ready" which is a lovely brown with a slight shimmering effect. I apply it with an eyeshadow bush from KIKO ("eye 202"). To coat my lashes I use either the L'Oréal miss manga mascara or the essence maximum length volume mascara. At last I take my Bourjois Délíce de Poudre to bronze and contour my face with the RT Contour Brush. 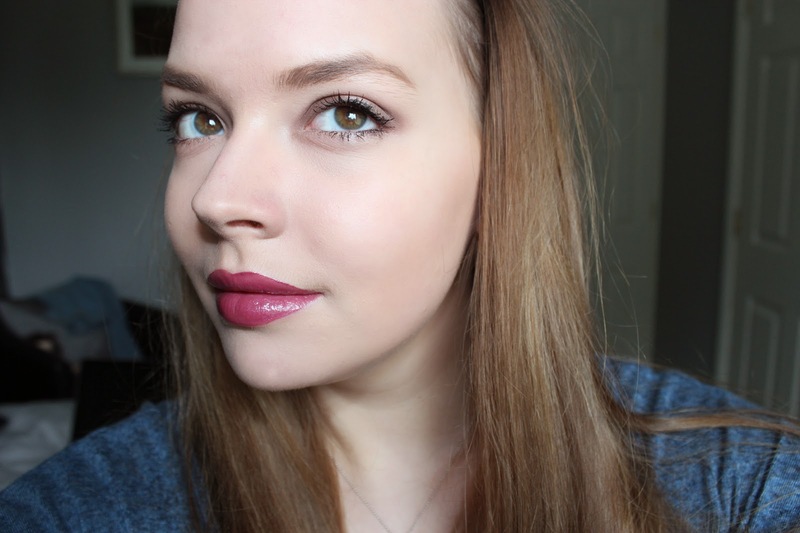 My lip product of choice on these photos was the Rimmel Apocalips in the shade "Galaxy" - which I adore. And that's pretty much it! Also please excuse that my eyebrows don't look to tidy! I'm currently trying to grow them out, which is such a hard task- ugh! I hope you enjoyed this blog post. Would you like to see more of these Face Of The Day posts? And what do you think of my look?